All book lovers have been chastised for the size of their collection at one point or another. If you’ve enlisted friends to help you move, then you’ve definitely heard complaints. But, hey, books are worth the back pain – they help us learn, provide an escape, and serve as classy home decor. 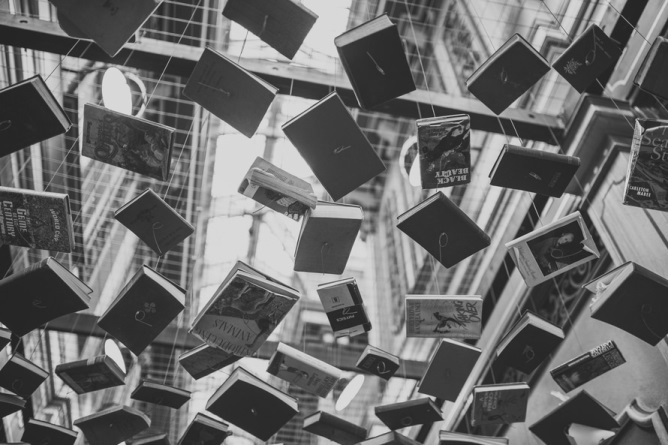 Readers are fortunate that throughout the history of the written word, authors have offered many eloquent turns of phrase that support our book hoarding ways. From descriptions of beautiful book-covered rooms to thoughts on the importance of reading, here are ten quotes to throw back at your friends the next time they complain about the moving boxes being laden down with books. 1. Books have to be heavy – the whole world’s inside them. 3. Back to basics. Back to books. 4. A room without books is like a body without a soul. 5. I declare after all there is no enjoyment like reading! How much sooner one tires of anything than of a book! When I have a house of my own, I shall be miserable if I have not an excellent library. 6. The love of learning, the sequestered nooks, and all the sweet serenity of books. 7. Many people, myself among them, feel better at the mere sight of a book. 8. To acquire the habit of reading is to construct for yourself a refuge from almost all the miseries of life. 9. Books are not made for furniture, but there is nothing else that so beautifully furnishes a house. 10. What kind of life can you have in a house without books? So collect on, friends. There’s a lot of talented writers, readers, and historical figures backing you up.